Read our Volusion review to see how they became one of the top ecommerce providers in the industry. Volusion shopping cart software is powerful and offers beautiful ecommerce templates to help you create the best online business website for your product or service. In our Volusion review we will take a look at pricing, features, support options, and the other ecommerce features available for your online store. Volusion has several shopping cart options to choose from with prices starting as low as $15 per month. Read our full Volusion review for more information. Volusion shopping cart software pricing starts at just $15 per month for the Mini plan and a free trial offer is available for a full 14-days to let you try the service before you buy it. The 14-day trial is completely free and does not require you to enter a credit card to get started. This will let you see exactly how the service works and what options are available to ensure it is the best shopping cart software to meet your needs. Comparing the features to the other ecommerce plans will show you what other options are available for your online store as you grow and expand your business and ecommerce website. For the next part of our Volusion review we will compare the features included in each of these plans. These basic features are included in every Volusion ecommerce plan, let’s take a look at the additional features added to the other plans. Each of these plans has all the features of the previous plans, we’ve just listed those that are in addition to all the other features. As you can see, Volusion offers numerous shopping cart options so that each customer can select the plan that is the best ecommerce option for their current business needs. Visit Volusion to see a complete feature list of more than 900 features available with their shopping cart software. Customers that want to pay annually can save even more money on Volusion shopping cart software, as shown below. In addition to the shopping cart software, Volusion offers web design and marketing services along with other business tools to help your online business succeed. The Volusion web design services include a number of design packages to choose from and options for free template designs or premium templates. Custom web design packages start at $3,500 and you get to choose the design components that you want for your website. Premium components include an advanced slideshow, custom landing page, advanced mega menu, and an image gallery; or you can choose from regular design components that include a communications kit, customer experience kit, social media kit, and store locator map. When you visit the Volusion website you can get additional details about each component to determine which will be the most beneficial for your web store. Some of the creative components include a graphics pack, ad banner designs, newsletter design, and blogger templates. Additional feature components include a featured product scroll, quickview product information, and customizable category layout options. Talk with a design expert to get more information about these and other A la Carte design services. The Volusion marketing services include search engine optimization (SEO), pay per click (PPC) advertising, shopping feeds, and social media advertising. The Volusion website doesn’t display any specific pricing for the marketing services but you can get more detailed information about these marketing options and read some testimonials of businesses that have benefited from the Volusion marketing services on their website. Talk with a Volusion representative to determine which marketing tools will be the most beneficial to your business website. Volusion business tools include credit card processing options that will make it easy to collect payments online from credit cards and SSL certificate integration to provide maximum security to your customers and for your website. In addition, Volusion offers domain name registration and live chat software. Use the Volusion business tools to make the most of your online store. For the last part of our Volusion review we want to talk about the Volusion support options. There is nothing more frustrating than paying for a service and then getting stuck while trying to use it and not being able to get any help. Volusion does a really good job of supporting their shopping cart software with 24/7 support. They recognize that your web store is available 24 hours a day, 7 days a week and that problems or issues could arise at anytime. Volusion offers numerous online support tools from a FAQ section to a comprehensive knowledge base, and video tutorials. If you don’t find the help you need from online resources, or if you prefer to talk to someone you can also contact a support representative through live chat or phone support. Volusion has been around for many years, they have proven how reliable their service is and have developed shopping cart software that is top-of-the-line. 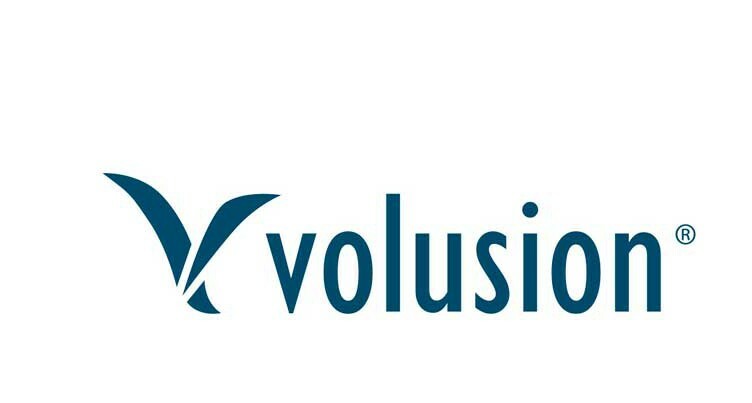 Visit Volusion to see full details on the software and services they offer or to talk to a company representative to get answers to any questions you may have. Start Your Volusion 14-day Free Trial Now!